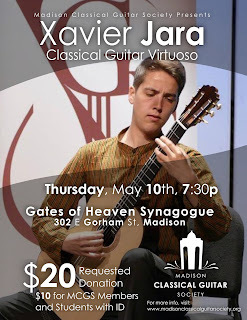 The Madison Classical Guitar Society is pleased to host the 2016 Guitar Foundation of America solo contest winner, Xavier Jara, at the Gates of Heaven Synagogue in James Madison Park on May 10th at 7:30. 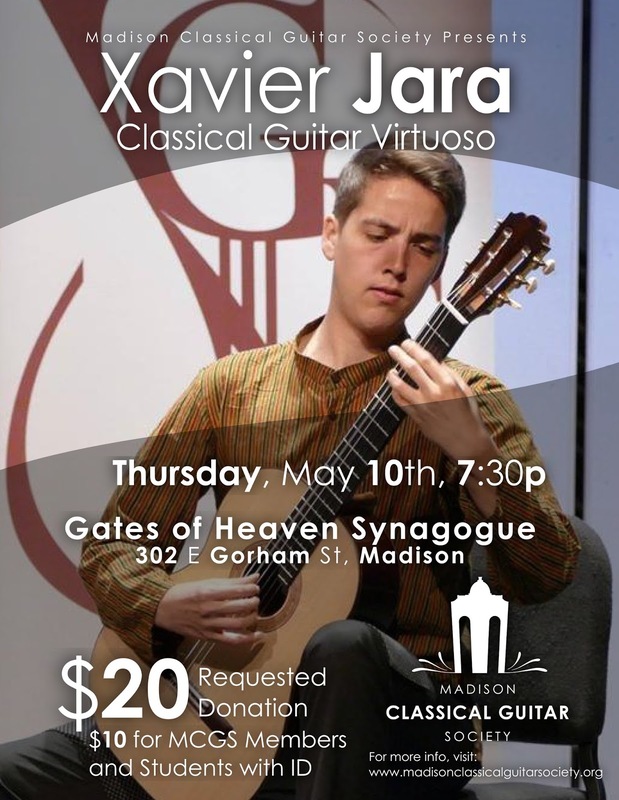 Xavier has been touring the US and Canada performing an extraordinary range of repertoire from Dowland through to the contemporary. The Gates of Heaven is gaining a reputation among international performers as a destination venue for its superb acoustics and intimate setting. 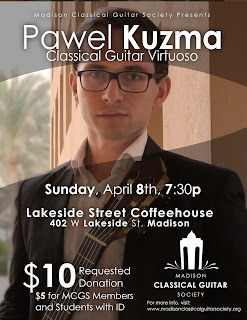 The Madison Classical Guitar Society is excited to host Polish guitarist Pawel Kuzma at Lakeside Street Coffee House on Sunday, April 8th. 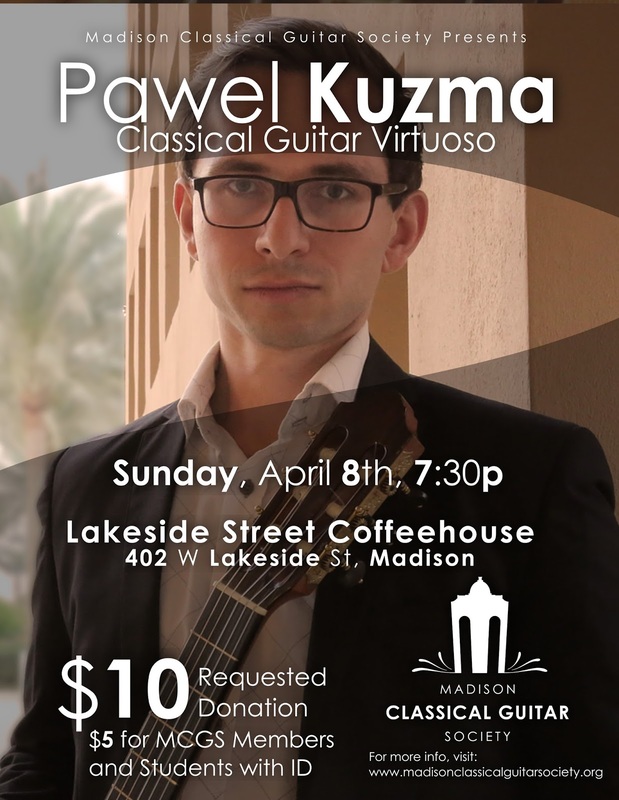 Pawel is the co-director of the Cairo Guitar Collective and and highly regarded internationally. As a performing artist, Pawel has given many concerts in Poland, Finland, Germany, Czech Republic, Austria and, more recently, Egypt. The show starts at 7pm. Donations appreciated.